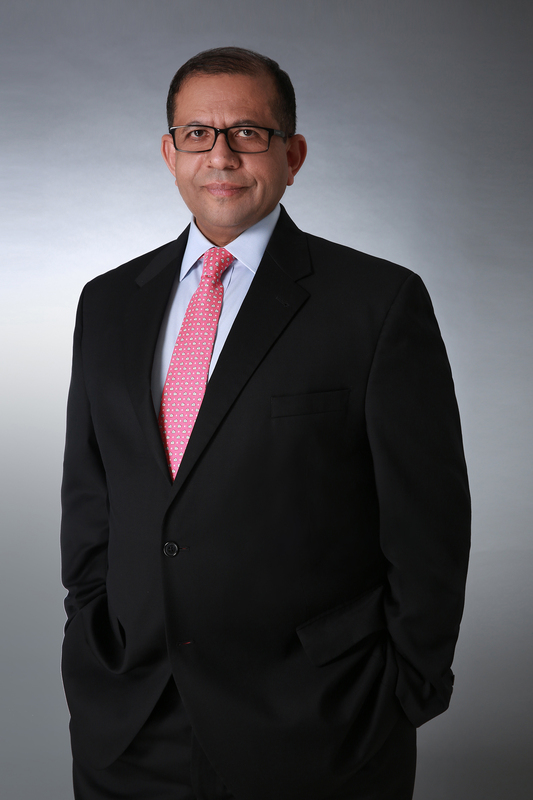 Ahmed S. Hashim is Associate Professor in the Military Studies Programme at the Institute of Defence and Strategic Studies, RSIS, and specialises in Strategic Studies. He received his B.A. in Politics and International Studies from the University of Warwick, Great Britain and his M.Sc and Ph.D from the Massachusetts Institute of Technology (MIT). He has worked extensively in the fields of Strategy and Policy dealing in particular with irregular war and counter-terrorism for the past 20 years prior to taking up his current position at RSIS in 2011 where he teaches courses on insurgency and counterinsurgency, terrorism, and defense policies at RSIS and SAFTI Military Institute (SAFTI MI). He is the author of several books including: Insurgency and Counterinsurgency in Iraq (Cornell University Press, 2006); When Counterinsurgency Wins: Sri Lanka’s Defeat of the LTTE, (University of Pennsylvania Press, 2013; and The Caliphate at War: The Ideological, Military and Organizational Innovations of Islamic State (Oxford University Press, 2017). His forthcoming books include: The Iranian Way of War: In the Service of Nation or Revolution? (Hurst and Company, 2018), Small Wars: Too Big to Ignore, (Hurst and Company, 2018) and God, Greed and Guns: State-Formation and Nation Building in Iraq, (University of Pennsylvania Press, 2019). CO16037 | Can Asians Fight? CO16022 | Saudi-Iranian Rivalry and Conflict: Shia Province as Casus Belli? CO14185 | Defeating IS: Will the Obama strategy succeed? CO13215 | Attack on Iran's Embassy: Who are the Abdullah Azzam Brigades? CO13203 | The rise of Islamist Militancy in East Africa: Al Qaeda's Next Target? CO13180 | Attack on Nigerian College: Boko Haram's War on Western Education? CO13175 | Shootout at Nairobi's Shopping Mall: A Harbinger of Things to Come? CO13042 | Jihadists in the Syrian Civil War: On the Road to Damascus? Hashim, Ahmed Salah. God, Greed, and Guns: State-Formation and Nation-Building in Iraq. Philadelphia: University of Pennsylvania Press, forthcoming. Hashim, Ahmed Salah. Small Wars: Too Big to Ignore. London: Hurst; NY: Oxford University Press, forthcoming. Hashim, Ahmed Salah. When Counterinsurgency Wins: Sri Lanka’s Defeat of the Tamil Tigers. Philadelphia: University of Pennsylvania Press, 2013. Hashim, Ahmed Salah. Insurgency and Counter-Insurgency in Iraq. Ithaca: Cornell University Press, 2006. Hashim, Ahmed Salah; Anthony Cordesman. Iraq: Beyond Sanctions. Boulder: Westview Press, 1997. Hashim, Ahmed Salah; Anthony Cordesman. Iran: Beyond Dual Containment. Boulder: Westview Press, 1997. Hashim, Ahmed Salah. “Iranian Military Doctrine” in Walter Posch (ed. ), Routledge Handbook of Iranian Security. London: Routledge, forthcoming 2014. Hashim, Ahmed Salah. “The Iraqi Insurgency” in Isabelle Duyvestyn and Paul Rich (eds. ), Handbook of Irregular War. London: Routledge, 2012. Hashim, Ahmed Salah. “Islamist Politics in the Iraqi Insurgency” in Samer Shehata (eds. ), Islamist Politics in the Middle East. London: Routledge, 2012. Hashim, Ahmed Salah. “Sino-Iranian Energy Relations” in Lyle Goldstein et al (eds. ), China’s Energy Security. Naval Institute Press, 2008. Hashim, Ahmed Salah. “Civil-Military Relations in Iraq” in Ahmed Hashim and Lyle Goldstein (eds. ), The Future of Iraq and U.S. Policy Options. Newport: Naval War College Press, Fall 2002. Hashim, Ahmed Salah. “Civil-Military Relations in the Islamic Republic of Iran” in Joseph Kechichian (ed. ), Iran, Iraq, and the Arab Gulf States. New York: Palgrave, 2001. Hashim, Ahmed Salah. “Iraqi Regional Policies: From Regional Superpower to Superpauper” in John Calabrese (ed. ), The Future of Iraq. Washington, D.C.: The Middle East Institute, 1997. Hashim, Ahmed Salah. “Iranian Defense and Military Technology” in Eric Arnett (ed. ), Military Technology and Offensive Capacity in South Asia. Oxford: Oxford University Press, 1996. Hashim, Ahmed Salah. “Le retour de la puissance iranienne: un nouvel Irak?” in Bassma Kodmani-Darwish and May Chartouni-Dubarry (eds. ), Perceptions de securite et strategies nationales au Moyen Orient, Paris: Masson, 1994. Hashim, Ahmed Salah. “Arms Control and the Arabs’ Strategic Environment” in Shai Feldman (ed. ), Confidence-Building and Verification: Prospects in the Middle East. Jaffe Center for Strategic Studies, Tel Aviv University, Boulder: Westview Press, 1994. Hashim, Ahmed Salah. “Iraq and the Post-Cold War Order” in John Noyes and Ehsan Ahrari (eds. ), The Persian Gulf After the Cold War. Westport: Praeger Publishers, 1993. Hashim, Ahmed Salah. “Resurgent Iran: New Defense Thinking and Evolving Capabilities,” in Eric Arnett (ed. ), The Proliferation of Advanced Weaponry: Technology, Motivations and Responses. Washington, D.C.: American Association for the Advancement of Science Press, 1992. Hashim, Ahmed Salah. “Threat or Threatened: Security in Iraq and Impact on its Neighbors,” in Steven Dorr and Neysa Slater (eds. ), Balance of Power in Central and Southwest Asia. Defense Intelligence College, Washington, D.C.: Defense Academic Research Press, 1992. Hashim, Ahmed Salah. “Out of Africa: Terrorism and Counter-terrorism on the Continent,” Washington Quarterly, (forthcoming, 2014). Hashim, Ahmed Salah. “The Egyptian Military, Part Two: From Mubarak to the Rosetta Revolution and Beyond”, Middle East Policy Council Review, Winter 2011-2012. Hashim, Ahmed Salah; Gregoire Patte. “Evolution of Non-State Military Capabilities and Combat Power: Hizbollah in Comparative Perspective”, Journal of Strategic Studies, (forthcoming, 2011). Hashim, Ahmed Salah. “The Egyptian Military, Part One: From the Ottomans to Sadat”, Middle East Policy Council Review, Summer 2011. Hashim, Ahmed Salah. “Lions and Tigers in Paradise: Terrorism and Insurgency and the State’s Response in Sri Lanka”, Defence Against Terrorism Review, 3(1), Spring 2010. Hashim, Ahmed Salah. “Carl Schmitt et l’insurrection irakienne”, Geopolitique, Spring 2010. Hashim, Ahmed Salah. “The Sunni Insurgency in Iraq,” http://www.mideasti.org/articles/doc89.html, 2003. Hashim, Ahmed Salah. “The World According to Usama Bin Laden”, Naval War College Review, Autumn 2001. Hashim, Ahmed Salah. “The Revolution in Military Affairs Outside the West”, Columbia Journal of International Affairs, Winter 1997-1998. Hashim, Ahmed Salah. “The Indo-Pakistani Conventional Military Balance”, Brown Journal of International Affairs, Summer 1997. Hashim, Ahmed Salah. “Iraq: Profile of a Nuclear Addict”, Brown Journal of International Affairs, Spring 1997. Hashim, Ahmed Salah. “Iraq: Fin de Regime?” Current History, January 1996. Hashim, Ahmed Salah. “State, Society and the Evolution of Warfare in the Middle East: The Era of Strategic Deterrence?”, Washington Quarterly, 18(4), Fall 1995. Hashim, Ahmed Salah. “Iran’s Military Situation,” in Patrick Clawson (ed. ), Iran’s Strategic Intentions and Capabilities, McNair Paper No.29. Washington, D.C.: National Defense University Press, 1994. Hashim, Ahmed Salah. “The Politics of a Tough Neighborhood: The Gulf Cooperation Council Plans Its Security”, Middle East Insight, Vol.X, No.2, January-February 1994. Hashim, Ahmed Salah. “Iraq: The Pariah State”, Current History, January 1992. Hashim, Ahmed Salah. Iraq’s Sunni Insurgency, Adelphi Paper, International Institute for Strategic Studies, London: Routledge, 2009.